Perhaps at no other time in history has the integrity of American science been more threatened. The new president has a history as a climate-change denier and has encouraged anti-vaccination forces. His vice president questions the evidence for evolution and supports teaching intelligent design. Just days after taking office, the Trump administration froze grant activity at the Environmental Protection Agency. The longtime climate-change denier he put in charge of the EPA transition team says he expects the agency to suffer significant cuts. The new administration also shut down social media and public information for multiple offices, including EPA, USDA and other agencies that sponsor and disseminate research. In light of the threat to science-based policy and government support for research, several scientists are organizing a national March for Science, seeking support not just from scientists but any citizen who sees research and evidence as critical to democracy and progress. They’re taking a page from the women’s movement and the huge marches held in Washington and around the world on January 21. Iowa’s take on the official March for Science logo. In only a few days, the science march’s Facebook page had more than 600,000 followers. Its Twitter feed (@ScienceMarchDC) also grew rapidly and by Sunday had more than 287,000 followers. When Shaw heard about the national march, he set up a Facebook page in the predawn hours of January 27 to organize a satellite event in Iowa, only to find that Shamus Roeder, a University of Iowa human physiology and biomedical engineering student, had already done so. Now they’ve joined forces with a third organizer, Iowa State University genetics student Kaitlin Higgins of Ames. In less than a week, the March for Science Iowa Facebook page has received more than 1,600 likes and followers. 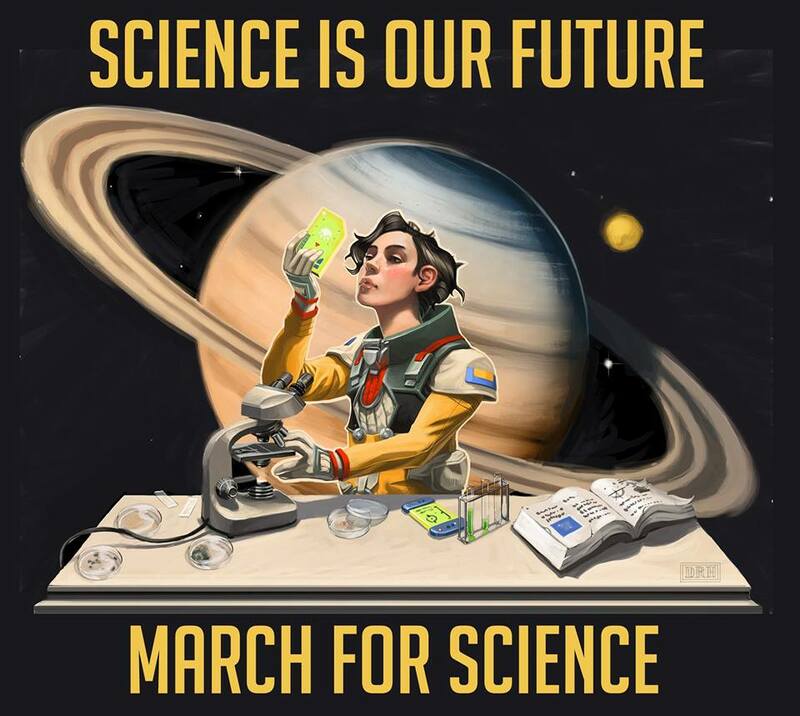 Its Twitter account (@ScienceMarchIA), just started on Friday and already had 355 followers by Sunday night. The details are still in flux, with much depending on the official date for the national march. (An announcement is expected as early as today.) There will be a march in Des Moines, but there may be others in the state, with Iowa City a likely location. “That’s the pending question that’s going to drive the volunteers,” Shaw said. Once the date is announced, the Iowa organizers will poll likely participants and volunteers about their interest in multiple locations. Then they’ll post an online sign-up form for people interested in helping plan the event. For now, organizers are collecting email addresses and names of prospective volunteers. They’ve set up channels on the Slack messaging application and are coordinating with the national March for Science. As I told Shaw, when folks have a unifying cause, other differences drop by the wayside. I hope that in Iowa and across the country, people of all political philosophies will join to support the preeminence of science in making policy and advancing the nation and the world. Some will say this is about scientists protecting their supposedly fat research grants. Perhaps, but it’s those grants that provide tomorrow’s insights, cures and technologies. To me, it’s about ensuring science is at the forefront when officials make policy about climate, health, education and more. It’s also about ensuring the integrity of government-sponsored science. Researchers should be free to publish their results, regardless of whether they support or weaken a particular party or politican’s viewpoint. I intend to get involved in this effort. I hope you will, too.